Awards: Nominated for 6 Golden Globes. Another 3 nominations. Plot: This comedy-drama is partially a gentle satire on America's drive to change the world in the post-war years. 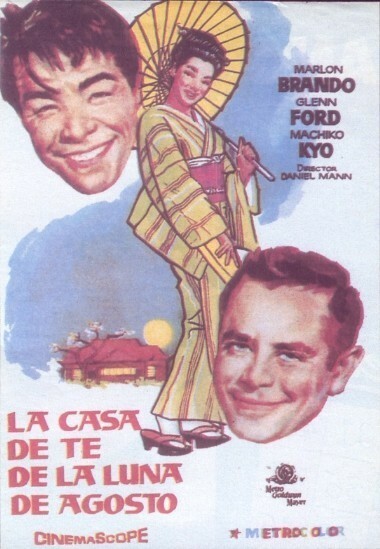 One year after World War II, Captain Fisby is sent to the village of Tobiki in Okinawa to teach the people democracy. The first step is to build a school -- but the wily Okinawans know what they really want. They tell him about their culture and traditions -- and persuade him to build something they really want instead: a teahouse. Fisby has a hard time breaking this news to his superiors.